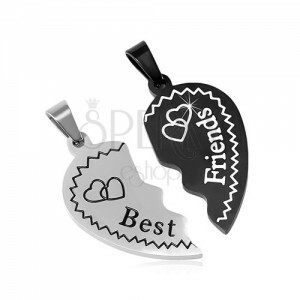 Double 316L steel pendant, heart with small hearts and an inscription Best Friends at the bottom part of the heart, silver-black finish. Stainless steel pendant consists of two halves of a heart. The left side is in the silver finish and the right side is in the black finish. 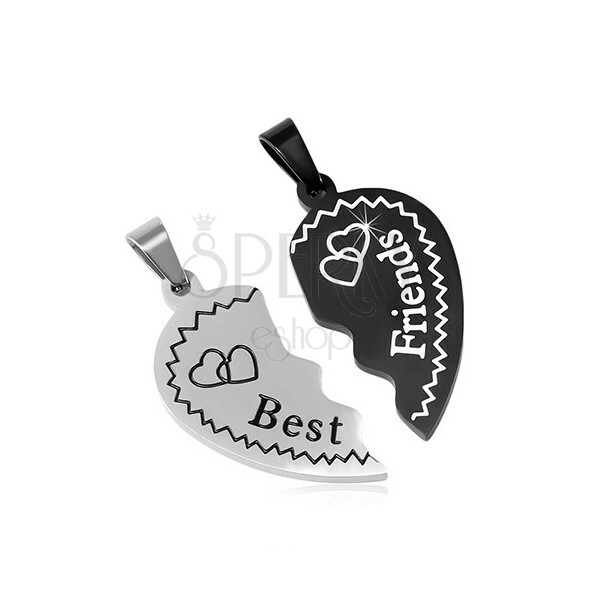 Both halves of the heart are decorated with a split inscription "Best Friends" and with pairs of overlining heart contours. The pendants have elongated eyes for the chain. Pendants are without a chain.